1. 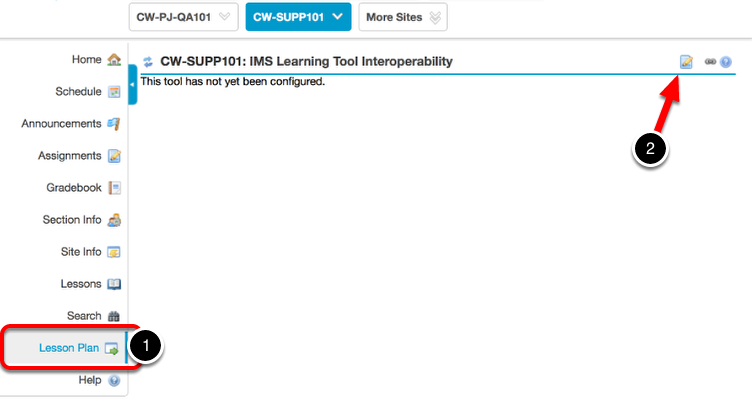 Locate and Click on the external learning tool that you have created in your course. 2. Click on the Edit icon. 4. Enter the Remote Tool Key and the Remote Tool Secret. This information will be provided to you by Chalk & Wire. 5. Set the Button Text. This is what will appear on the button that links to Chalk & Wire. 6. Set the Tool Title. This will appear above the tool. 7. 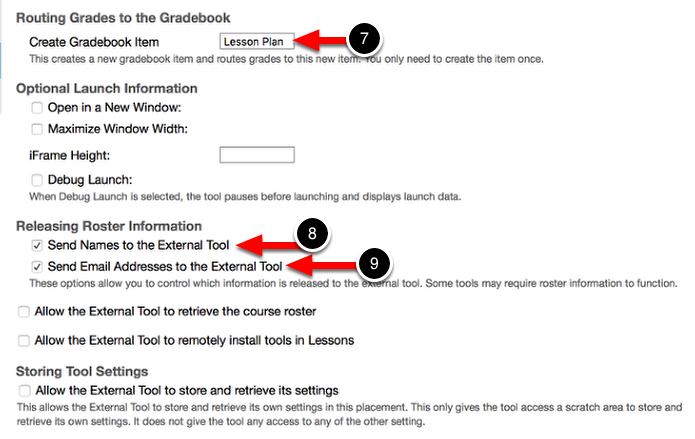 Create the Gradebook Item. This will create a new gradbok item and route grades to the item. 8. Select the option to Send Names to the External Tool. 9. Select the option to Send Email Addresses to the External Tool. 12. Select text for the Splash Screen. This information will be displayed to users as they are being sent to the external tool. 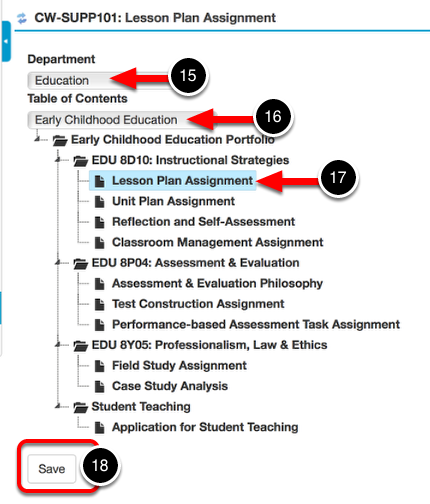 A Department and a Table of Contents OR Assignment drop-down will appear. 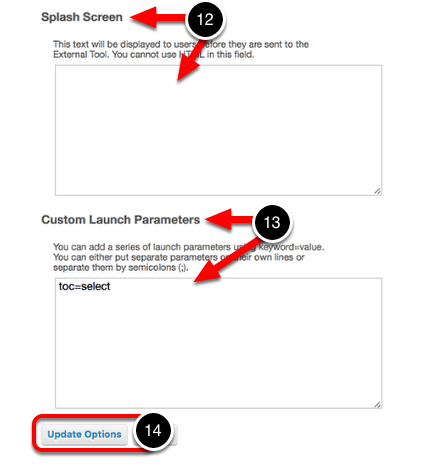 These drop-down menus will be populated by your Chalk & Wire site. 15. Select the Department that contains the table of contents or assignemnt to populate the next drop-down menu. 16. Select the Table of Contents or Assignment from the drop-down menu. 17. If you are linked to a Table of Contents, select the Table of Contents Section that corresponds to the Assignment Link that you've created.